Get it now in Paperback or for your Kindle, Nook, or any other reader. 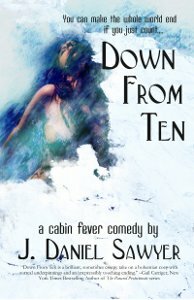 Tagged down from ten, Ebooks, mystery, releases. « The Judean People’s Front? Or Not? Does this mean that we might see it coming to print in time for the holidays? That’s the plan. That one and a few others. We’re running up against the deadline though, and I’m starting to lose hope. We shall see! It’s busy times around here! What are the prizes for the ARC drawing going to be, then? They’re going to be as they were listed in the email, fear not 🙂 Just realized I left Free Will paperback off the list, but that does, of course, belong.